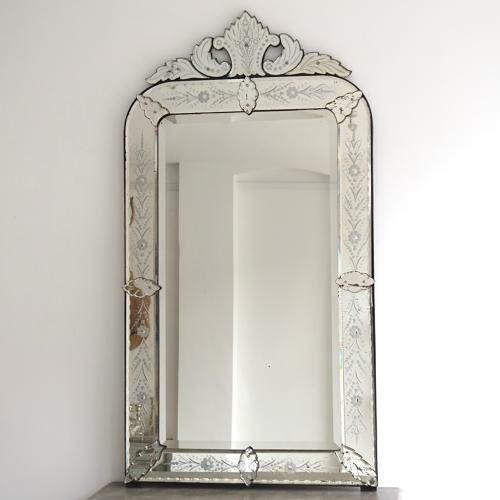 A wonderfully elegant, grand scale 19th century antique Venetian mirror with reverse etched decoration to the outer margins and crest. Original mirror plate with bevelled glass to centre. Original pine back board. A beautiful statement piece that would enhance any room. Italian circa 1890.